The 2015 First Tracks is a power lifter from the ground up. Our limestone soils have created the perfect stage in which the Petit Verdot from our property can be truly expressive and artistic. This caramel and blackberry Bordeaux-inspired medley throws a curve ball with its captivating integration of black cherry and dark violet notes from the Syrah. With such tremendous aging potential, we encourage you to tuck this wine away in your cellar and enjoy in the next 10-15 years. This bright and translucent golden child, the 2017 Soph, delivers a lovely bouquet of honeydew and citrus blossom, with a hint of fresh and candied lemon zest. 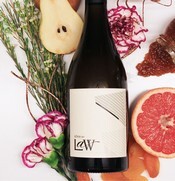 The front palate is welcomed by pineapple and papaya, and supported by notes of vanilla and toasted oak. Soph's rich and viscous mouthfeel carries its weight effortlessly across your palate, while it’s inviting and elegant warmth is maintained by great freshness and acidity. 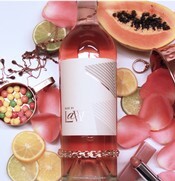 Juicy raspberry and puckering green apple aromas jump free from this rosy expression of what we all personally feel is our favorite purpose-picked Rosé from the estate. The thirst-quenching focus stems from the major Grenache portion of this blend, with a citrus and cranberry-like tartness. 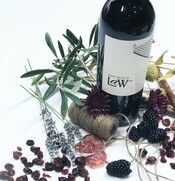 Its high-toned freshness is woven across layers of red fruit, mineral accents and floral notes, with an underlying tension into its crisp finish that is practically infinite. After just one sip, you'll understand our delight! Business address is preferred, signature is required for delivery.